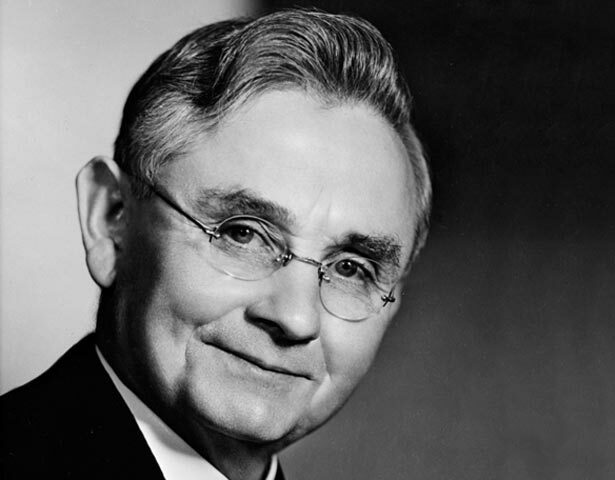 Michael Joseph Savage, New Zealand’s first Labour prime minister, was probably also its best-loved. His avuncular image hung in the homes of the Labour faithful for decades. Savage was born into a poor family in Victoria, Australia. In 1907 he moved to Auckland, where ‘Mick’ became ‘Joe’ and the brewery cellarman rose through the labour movement. In 1919 he entered Parliament and three years later was Labour’s deputy leader. Labour won the 1935 election convincingly. Helped by a recovering economy, it unleashed a slew of popular reforms. Three years later it won again, backed by voter support for its plans for a comprehensive social welfare system. The apparently folksy Savage declared Premier House too grand for him, but ran Cabinet tightly and cleared his desk each day. But Savage had already lost a more personal battle, and was dying of cancer. Fifty thousand mourners filed past his casket and he was given a lavish public memorial in Auckland (Seddon and Massey are the only other PMs similarly honoured). We have 9 events in history, 38 biographies, 23 articles, 1 comment related to Michael Joseph Savage.